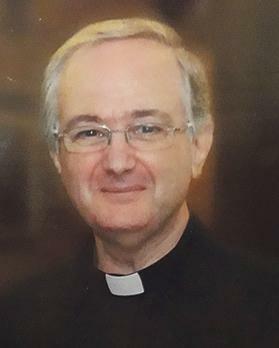 With deep sadness, but strangely enough, with a quiet resignation Fr Noel, at the age of 60, has left us for a better place. He will be greatly missed by all who knew him. He was an inspiration to us all as a person and as a priest, always so approachable, friendly and welcoming to us all no matter what nationality, colour or creed with no “hidden agendas”. He was so dedicated to his dear aunt. His fidelity to his schedule, his Clarity in the Church’s teaching, and the patience he had to all those who went to confession to him, no matter how long it took him, plus his love for visiting Marian shrines here and abroad.. sum up all that Fr Noel was. Of silence, reverence in adoration, for what was truly happening. It was so profound, that to me the world stood still. Thank you dear Fr Noel. You were an inspiration to us all by your example. Your deep faith in God and your total resignation to God’s will, as you yourself told me before your medical treatment, has made your mission on earth accomplished. Please God, I sincerely hope we meet again in Heaven. May your rest in peace now.